On June 30, 1988, readers of the British scientific journal Nature opened their issues to find a lead editorial titled, “When to believe the unbelievable.” The editorial’s sub-headline was even more provocative: “An article in this week’s issue describes observations for which there is no present physical basis.” The article in question was “Human basophil degranulation triggered by very dilute antiserum against IgE,” from a team led by the immunologist Jacques Benveniste at Paris’s Institut national de la santé et de la recherché médicale (INSERM) laboratory. And the story quickly became even stranger: a month later, Nature printed a report by a three-man investigative team—including editor John Maddox—that declared INSERM’s results a “delusion.” So why would Nature print this piece if the editorial staff found its claims “unbelievable”—and perhaps more puzzling still, why would the editor of a scientific journal personally undertake a critical evaluation of results his journal had published? But Maddox, the dynamic former physicist who edited Nature from 1966-1973 and again from 1980-1995, had a slightly different vision. As he put it in a 1989 interview with a Wall Street Journal reporter, “A journal really has to have an opinion.” Maddox did not see journals as passive vehicles for publication, “a mirror held up to the face of research.”  For Maddox, specialist journals were—and should be—institutions that shaped the way science worked. 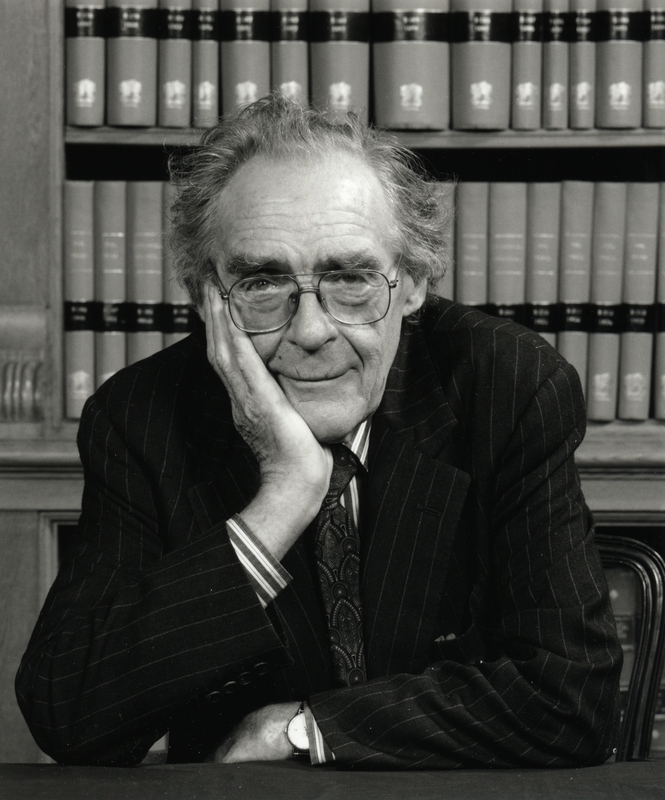 Maddox was particularly anxious to assert that belief in 1988 because it seemed that other forces were seeking to shape science. Most notably, 1988 was the year of the infamous “Baltimore Affair”—a government investigation into a 1986 Cell paper co-authored by the Nobel Prize-winning immunologist David Baltimore. MIT biologist Thereza Imanishi-Kari was the lead author on the paper, but following its publication, one of Imanishi-Kari’s postdocs informed the National Institutes of Health (NIH) that she had been unable to replicate the Cell results. Michigan Congressman John Dingell created a committee to investigate whether Imanishi-Kari had forged her data. The initial NIH report found Imanishi-Kari guilty of nineteen counts of research misconduct, based largely on a Secret Service investigation of her laboratory notebooks. The Baltimore affair would stretch out over nearly a decade, until a 1996 report by the Department of Health and Human Services exonerated Imanishi-Kari of any wrongdoing in her experiment. It is a communal problem, that of how the scientific community should learn to live with the evident imperfections of the scientific literature … [T]he remedy rests with the scientific community. It was almost certainly not a coincidence that Maddox’s article on the Baltimore affair appeared in the same issue as the Benveniste paper, which seemed to be a perfect test case for demonstrating the scientific community’s ability to evaluate problematic results without outside interference. The article described a series of experiments measuring the activity of highly dilute solutions of antiserum—some diluted well beyond the point where statistically the solutions no longer contained any antiserum molecules at all. Benveniste et al., however, claimed that these highly dilute solutions could still produce the same effect as more concentrated solutions of antiserum. From “Human basophil degranulation triggered by very dilute antiserum against IgE,” Nature 333 (1988): 817. The data also displayed an unusual “rhythmic” pattern to the activities of the different dilutions. Antiserum activity would drop off at one dilution, rebound dramatically at another, even more dilute concentration, then drop off and rebound again at increasing dilutions (see graph above). Furthermore, all dilutions had to be accompanied by vigorous shaking, or “vortexing” in the laboratory’s terminology, in order for the effects to be observed. Although the paper did not explicitly mention possible medical applications, the Benveniste team’s findings had clear implications for the alternative medical practice of homeopathy. Homeopaths treat illnesses by having the patient ingest highly dilute solutions of various substances, often ones toxic in higher doses such as mercury or arsenic. The INSERM paper did not seem to offer a satisfying theoretical explanation for the actions of the highly dilute solutions, but the results did seem to be laboratory-based evidence in favor of homeopathy’s efficacy. Maddox and his staff warned against such an interpretation in their editorial. The editorial team admitted that among homeopaths “there will be a natural inclination to welcome Benveniste’s article as aid and comfort, but that would be premature, probably mistaken.” Maddox further cautioned against embracing the Benveniste results in an “Editorial reservation” printed after the article, where he wrote that the paper was likely to trigger “incredulity” among readers and declared there was “no physical basis” for the team’s results. 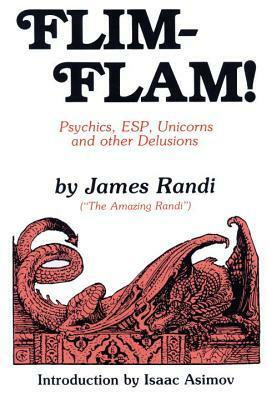 James Randi’s Flim-Flam. Source: Goodreads.com. The report on the high-dilution experiments was very much in line with Maddox’s vision of the scientific journal as a force for shaping and improving science. Notably, however, Nature’s readers and contributors pushed back against the idea of Nature undertaking this kind of scientific policing. Discussion of the Benveniste data dominated Nature’s correspondence columns for a full eight weeks. Some letters came from homeopaths protesting the treatment of the Benveniste paper; others came from scientists trying to explain what known chemical or biological processes might have caused the phenomenon observed in the data. A few letters came from immunology laboratories where the scientists had not been able to reproduce the INSERM team’s results, or questioned the accuracy of the data presented in the Benveniste team’s original paper. It is reasonable to ask whether [the INSERM article] should have been published by Nature. We think not. … [Nature’s report] adds to the circus atmosphere engendered by the publication of the original paper. The short answer is “No”. Too many people have been caused too much distress, particularly at INSERM 200, and too much time has been consumed by the circus when there have been better things to do. While Maddox maintained that Nature would continue to be on the lookout for “erroneous” or “careless” science, he was clear that the independent inquiry into Benveniste’s laboratory was an experiment that would not be repeated. The Benveniste episode in Nature is not merely a strange story in the history of a notable scientific journal; it suggests some important conclusions about the relationship between specialist journals and their audiences. As editor, Maddox had the power to test the boundaries of what a scientific journal might do—but readers and contributors had the power to reject his attempts to claim an auditor’s role for Nature. The passionate backlash shows that in many ways, Maddox was right about journals: far from being static or passive, scientific journals such as Nature are dynamic institutions which can and do change in response to the interests of scientific practitioners. Furthermore, the afterlife of the Benveniste affair suggests that once research has been published, it is often difficult to discredit its findings convincingly. In fact, Benveniste’s research is still cited by homeopaths as evidence for the efficacy of their approach. Homeopaths generally see Maddox’s efforts to call the results into question as evidence of a conspiracy to silence the findings rather than a serious undertaking. In many ways this parallels the famous story of Andrew Wakefield’s 1998 paper in The Lancet, which claimed a link between vaccines and autism; even now that the Lancet has withdrawn the paper, many observers believe its claims. Revoking the “scientific authenticity” bestowed by publication in a specialist scientific journal, it turns out, is no easy task—even with a debunker as passionate as John Maddox on the case. Melinda Baldwin is a lecturer in the Department of the History of Science at Harvard University. Her forthcoming book, Making Nature: The History of a Scientific Journal, will be published by the University of Chicago Press in June. Visit her on the web at http://www.melinda-baldwin.com, or follow her on Twitter @Melinda_Baldwin. “When to believe the unbelievable,” Nature 333 (30 June 1988): 787. 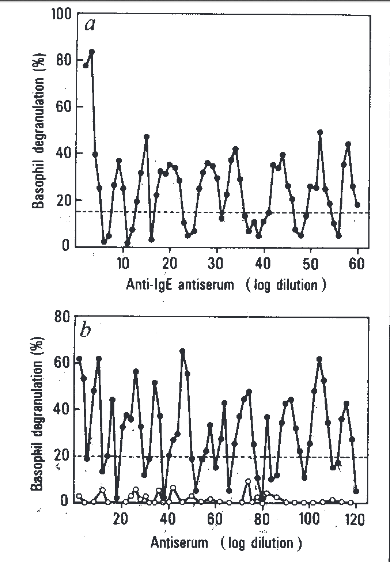 E. Davenas, J. Benveniste et al., “Human basophil degranulation triggered by very dilute antiserum against IgE,” Nature 333 (30 June 1989): 816-818. John Ziman, Public Knowledge: The Social Dimension of Science (Cambridge: Cambridge University Press, 1968), 111. Richard L. Hudson, “If You Read It First In Nature, It’s Big and (Usually) True: Cold Fusion, Homeopathy and Hunchbacked Flies Enliven Scientific Journal,” Wall Street Journal (15 May 1989): 1. John Maddox, “Can journals influence science?” Nature 339 (29 June 1989): 657. See Daniel Kevles, The Baltimore Case: A Trial of Science, Politics, and Character (New York: W.W. Norton and Company, 1998). John Maddox, “Can a Greek tragedy be avoided?” Nature 333 (30 June 1988): 795-797. “Editorial Reservation,” Nature 333 (30 June 1989): 818. A technician named Jose Alvarez was also part of the team, but his name never appeared in Nature’s accounts of the investigation. See Caroline Joan Picart, “Scientific Controversy as Farce: The Benveniste-Maddox Counter Trials,” Social Studies of Science 24 (1994): 7-37. John Maddox, James Randi, and Walter W. Stewart, “‘High-dilution’ experiments a delusion,” Nature 334 (28 July 1988): 287-290. Henry Metzger and Stephen C. Dreskin, “Only the smile is left,” Nature 334 (4 August 1988): 375. Peter Taylor, “Controversy continues,” Nature 335 (15 September 1988): 200. G.J. Neville, “Controversy continues,” Nature 335 (15 September 1988): 200. Jacques Benveniste, “Benveniste on the Benveniste affair,” Nature 335 (27 October 1988): 759. John Maddox, “Waves caused by extreme dilution,” Nature 335 (27 October 1988): 763. Si os interesa el debate existente sobre la homeopatía o sobre la “verdad” científica, os puede interesar este artículo.